Going to IKEA is almost like going on a day long vacation. This was lunch. 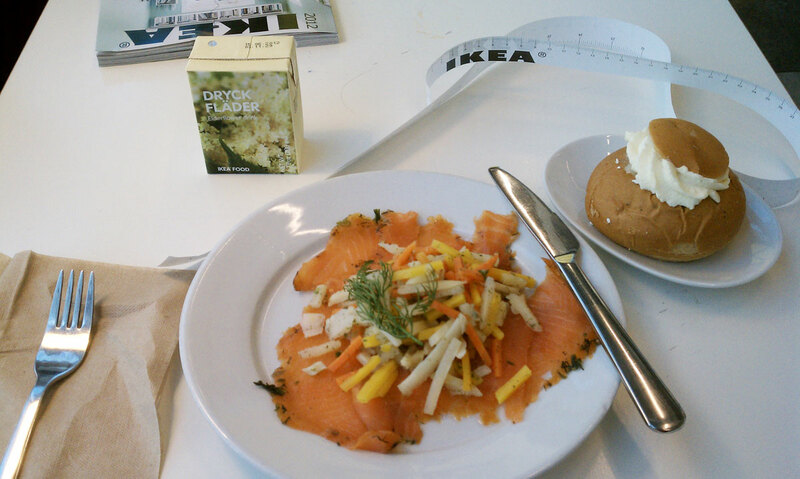 The selection of non offensive American classics, Swedish dishes, and pretty pastries is a really good way of explaining what is good about IKEA. On top of a sturdy foundation of organization, coordination, and presentation, they have options. There are certain things that could be considered IKEA classics, Poang bent ply chairs, mod fabrics, and those famous meatballs. If you are into the brand, this is what you want. Then there is furniture which fits the average home. It is less minimal with more upholstery foam, floral prints, and moldings. These are like ordering a mac and cheese combo in the cafeteria. Each section also has a sprinkling of more expensive items with slightly better quality or craftsmanship. You can splurge on cow skin rugs and leather sofas if you really want. These are like those indulgent desserts but for your home. Most people can find something they like because of these basic themes. The IKEA in New Haven is particularly pleasant from a design perspective because the dining room looks out to the historically significant Pirelli Tire building. 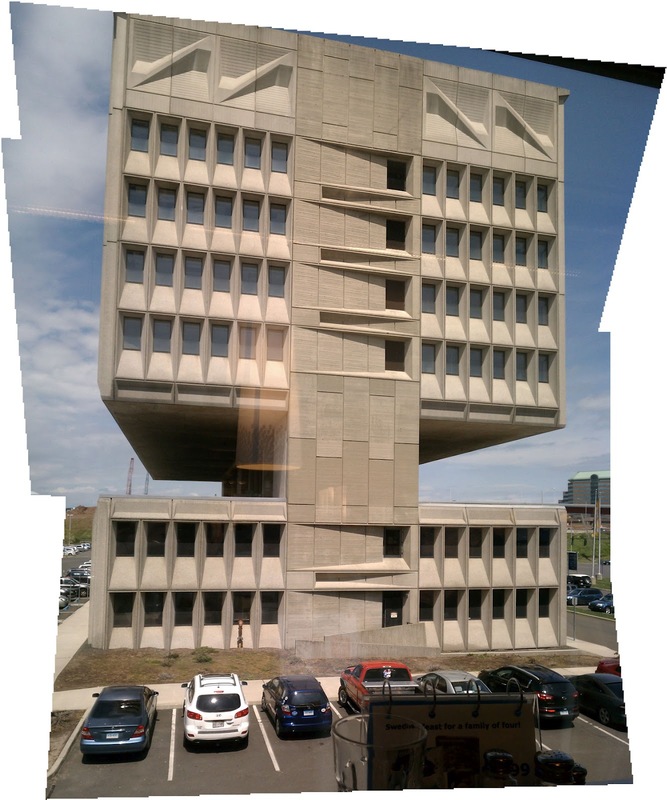 Designed in 1968 by Marcel Breuer, this vacant building was supposed to be demolished to make room for the IKEA. Though the majority of the structure was torn down, the most interesting section was left standing. The masterful use of texture in the concrete cannot be seen in this picture, but the building is actually worth visiting to get the details. Though I wasn't looking for furniture on this trip, I was looking at it. I made special note of the way textured accessories were used to add personality and interest to the constructed interiors. 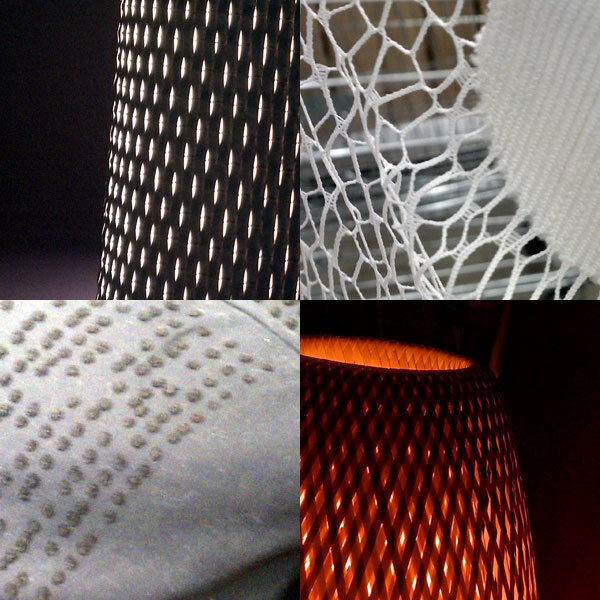 These were some of the reference pictures that I snapped to use as texture inspiration. I also found a new friend to take home with me in the children's department. This is my new vegetable friend. He is a carrot with shorts. I'm pretty analytical about how I choose stuffed toys, and our friendship is a result of an outstanding hug test. I actually tried explaining to some strangers that as part of my college education, I learned a lot about what makes a good stuffed toy. Each toy can be critiqued on form, character, and educational value. I think they thought that I was either making things up or mentally unsound. 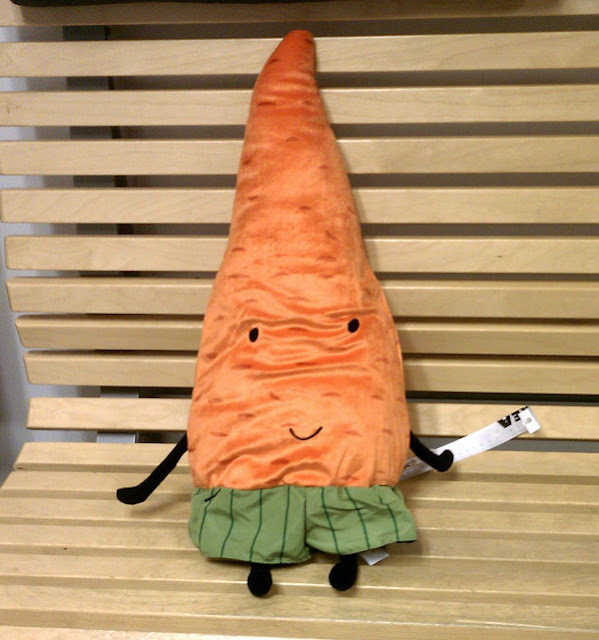 Anyway, this carrot in shorts came home with me. I like him a lot. If you ever need a good vacation spot, check out IKEA.